Contact: Clémence Bourlet, Country Representative. 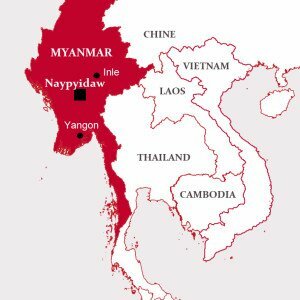 After several decades of economic and political isolation, Myanmar is currently experiencing one of the highest levels over growth in Southeast Asian countries. However, this situation hides a certain number of social and economic challenges which the country still has to face: although listed as one of the poorest countries in Asia, it is currently seeing the extremely rapid development of tourism, which the current facilities and workforce are unable to cater for. The hospitality-catering sectors need a qualified workforce more than ever, especially in basic trades. Since 2016, the IECD has supported Inle Heritage Hospitality Vocational Training Center (IHHVTC) in order to favor the socio-professional integration of young people from poor backgrounds from the Inle Lake region in hospitality-catering professions. In 2017, the IECD formed a new partnership with the Yangon Bakehouse (YBH), a social enterprise created in 2013, in order to help it to improve its economic model and its training. Finally, the IECD has started the process of reproducing the same model of the Bread-Pastry Making School (Hue) in Yangon in Myanmar: the school will open its doors in 2018 and will welcome 10 to 15 young people, at least half of whom will be girls.